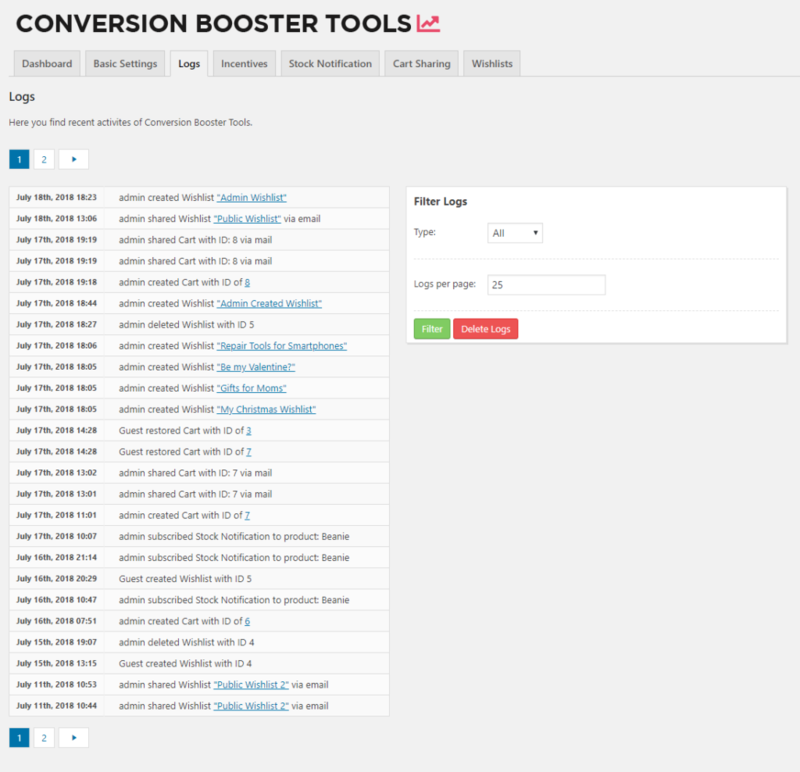 Logs capture actions performed in regards to Conversion Booster Tools. If a person subscribes to a product or shares a shopping cart by email the plugin records this action. A recent list of logs are displayed directly on the dashboard, if you change to the logs tab in the plugin settings you will find a full list containing all recorded actions. Logs can be filtered by type, e.g. by wishlist, stock notification or cart sharing. You can define how many results you want to display per page and also delete all saved logs. Logs are currently quite basic and will be extended in upcoming plugin updates. Its possible to delete all logs by clicking on the „Delete Logs“ button. You can choose to deactivate the logging feature in the „Basic Settings“ tab.